Has Your Processor Told You About The Durbin Amendment? Did You Bet On The Superbowl And Lost? Visa, MasterCard and the largest banks have announced a proposed multi-billion dollar settlement with U.S. retailers in a longstanding lawsuit over swipe fees charged by the networks. Described as the “largest antitrust settlement in history” by plaintiffs’ attorneys , the agreement would require Visa, MasterCard several major banks, including JPMorgan Chase, Bank of America, Citibank and Wells Fargo , to establish a fund for $6.05 billion for roughly seven million merchants, who plaintiffs’ attorneys say have been adversely affected by the interchange fees the networks set. The case was due to go to trial in September. “These are truly historic reforms that will help shift the competitive balance from what in the past has been dominated by the card companies and the banks over to the merchants and the consumers, by giving consumers both transparency and a choice for cheaper forms of payment ,” says Martin Lueck, a partner and chairman of the executive board at Robins, Kaplan, Miller & Ciresi, a plaintiffs’ firm involved in the lawsuit. The settlement is in line with analysts’ previously estimates, which pegged a potential agreement at between $5 billion and $15 billion. In addition to the fund, the networks have agreed to temporarily reduce for eight months the level of interchange fees by 10 basis points, a benefit estimated by plaintiffs’attorneys be worth $1.2 billion. Visa and MasterCard will also drop so-called “no surcharge” rules, which previously prohibited retailers from tacking on additional fees to the consumer for using a credit card. In addition, the companies have agreed to negotiate with groups of merchants collectively over interchange rates going forward. Visa says it will record a litigation of $4.1 billion for the quarter ended June 30, 2012, increasing its reserves from $285 million to approximately $4.4 billion, which it will fund through a preexisting litigation escrow account. The card network had previously put more than $4 billion in that account. MasterCard previously agreed to pay 12% of any potential settlement involving Visa and the banks. The card network said on Friday that its share of the cash portion of thesettlements will total $790 million before taxes. It plans to add an extra $20 million pre-tax charge in its second quarter 2012 financial statements, as it had previously recorded a $770 million charge in its fourth quarter 2011 financial statements, the company said in a press release. The settlement is pending before Judge John Gleeson and Magistrate Judge James Orenstein in the United States District Court for the Eastern District of New York. Due to the overwhelming replies and inquiries VMS-Washington wants to help your business out by giving you rock bottom rates for your processing. We also can help your business by giving you great rates for unsecured business loans with an 90% approval rate for start-ups and existing businesses. Call or email us if you want to know more. Some merchants are already crying foul over a proposed $6 billion swipe-fee settlement, threatening the payments industry’s attempts to move past long-pending litigation. The National Association of Convenience Stores, a trade group representing more than 3700 merchants and a plaintiff in the lawsuits, rejected a proposed settlement of those suits announced late Friday. Now the group has hired law firm Constantine Cannon, which negotiated a landmark $3 billion settlement Visa and MasterCard in 2003, to help hold out for a better deal. Retailers have long protested the prices they have to pay for accepting credit debit cards, and the control Visa and MasterCard have over how those prices are set. The proposed deal announced Friday would settle price-fixing lawsuits that grocery stores and other retailers started filing in 2005. Under its terms, Visa, MasterCard several major banks, including JPMorgan Chase, Bank of America, Citibank and Wells Fargo, would establish a fund for $6.05 billion for roughly seven million merchants. But Shinder says that if enough of the plaintiffs decline to sign onto the settlement, it could be over before a judge even gets to approve it. He pointed to the timing of the announcement – late afternoon Friday, on a day when many financial journalists had spent the day covering JPMorgan Chase earnings and their readers had already left for the Hamptons – as a strategic move to make the deal seem inevitable. “The way it was done, Friday afternoon at 5:30, is a reflection of the fragility of the whole thing,” he says. Any setback to the settlement would be a blow for Visa and MasterCard , which have faced mounting legal and regulatory challenges in recent years to how they set interchange fees. The Durbin amendment to the Dodd-Frank Act fundamentally overhauled that system fordebit cards , but the proposed settlement does not go nearly as far for credit cards. Under its terms, the networks have agreed to temporarily reduce for eight months the level of interchange fees by 10 basis points, a benefit estimated by plaintiffs’ attorneysbe worth $1.2 billion. Visa and MasterCard will also drop their “no surcharge” rules, which prohibited merchants from making customers pay extra to use their credit cards. Payments industry members and severalmedia stories have highlighted this portion of the proposed settlement, pointing out that it could translate into higher fees for consumers – much to Shinder’s dismay. VMS-Washington – Prepaid Cards Are not Debit Cards and Other…………. Prepaid Cards Are not Debit Cards and Other…………. We’ve written quite a bit about prepaid cards over the past few months and not always because we had planned for it. At first, we just wanted to give you the basic facts about the fastest growing type of payment card in the U.S. and then Suze Orman came along. But what keeps surprising me is that people just don’t get prepaid cards. It is true that there are plenty of misconceptions about credit and debit cards floating around, but prepaid seems to beat both of them by a quite wide margin. The most widely committed error is the categorization of prepaid cards as a subset of debit. You will often see this payment product referred to as “prepaid debit cards.” That is wrong and can easily lead to other errors. I’ve offered a prepaid vs. credit and debit comparison before, but will take another swipe at it, as I thought I could do better. A prepaid card is a stand-alone payment product that has a zero value until it is activated and “loaded” with an amount of money. Then, whenever a purchase is made, the sales amount is subtracted from the card’s available balance. When the remaining balance becomes zero, the card is no longer usable, unless it is “reloaded” with an amount of money, which is a feature not all prepaid cards support. If “reloading” is not supported, once the balance reaches zero, the card is useless. “Non-reloadable” prepaid cards are typically the ones sold by, and usable only at, a given merchant or a merchant chain (for example, a Best Buy prepaid card) and are not issued to a specific consumer. As these cards cannot be used outside of the merchant’s locations, they are also called “closed-loop” or “closed-system” cards. Closed-loop cards bear only the logo of the merchant they can be used at and are the type of prepaid that is the easiest to distinguish from other card types. However, in addition to a merchant’s logo or indeed in place of it, a prepaid card may display the logo of a credit card network (e.g. Visa or MasterCard) or company (e.g. American Express or Discover). Such cards are usable everywhere the payment brand whose logo they bear is accepted and are therefore called “open-loop” or “open-system.” Open-loop prepaid cards are also typically reloadable and are issued in the name of a specific consumer. This type of prepaid is the one that is typically confused with debit, but it’s still very different. How Is Prepaid Different from Debit and Credit? What makes credit cards unique is the fact that they come with a line of credit, so that the cardholder spends the issuer’s money, not her own. The exact opposite is the case with debit and prepaid. So what’s the difference between these two? Residence requirements. Debit cards require that applicants provide full information about themselves, including their social security number, which immediately renders non-residents non-qualifiable. Prepaid, on the other hand, requires only basic information, if any. Over-the-limit spending. Prepaid cards limit spending to the available balance on the card, with no exception. Debit cardholders, on the other hand, can opt in for overdraft protection, which enables them to complete purchases, for a fee, even when the available balance is not sufficient to cover the sales amount. Consumer protection. Prepaid card issuers are not required by law to provide refunds for lost or stolen cards, although some of them do so voluntarily. 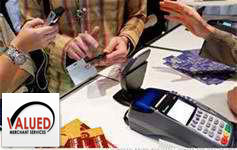 All debit card issuers must provide this protection. There are other differences between prepaid and debit, as far as consumers are concerned, but these are the most prominent ones and apply to both open- and closed-loop prepaid. So prepaid is different from debit, although the reloadable, open-loop prepaid model comes very close to the debit one. It seems very clear to me that, if a consumer’s credit history allows her to open up a checking account and get the linked debit card, she should do that, rather than use a prepaid card. I haven’t talked about prepaid-related fees and that was a deliberate choice, because they vary in wide range. The only prepaid card I know of that comes with no monthly fee is American Express’ and it charges a $2 ATM withdrawal fee, in addition to whatever the ATM owner charges. At the same time, there are still many free checking accounts available out there and one of them should be your first choice. Credit card company American Express seemed to come out of nowhere in the past year, offering one social media program after another. Facebook, Twitter, Foursquare, YouTube, LinkedIn, Google+— it’s got them all covered, and even better, it stands for what its consumers want across all of the social platforms it’s on. While American Express has seemed to pump a lot of life into its social strategy as of late, it has actually been on the scene since 2009, helping cardholders solve problems one tweet and wall post at a time. We spoke with Leslie Berland, SVP of digital partnerships and development at American Express, for the backstory on AmEx’s social media strategy, mission and goals. Read on for what she had to say. American Express joined the social media scene in 2009 with presences on Twitter and Facebook, aimed at providing customer service for cardholders. American Express first made its appearance on Twitter with the @AskAmex handle, focused on servicing Cardmember and merchant questions and needs. Berland says that @AmericanExpress and the officialAmerican Express Facebook Page came soon after. Since the beginning, American Express has built its social strategy on service, and it continues to improve its implementation by taking in user feedback. “We spent a great deal of time listening to the community. The community interests and feedback defined our strategy,” says Berland. AmEx has come a long way — with nearly 2.4 million Facebook fans and more than 348,000 followers on Twitter for the American Express U.S. pages alone. Its presences have also expanded internationally, and the brand now supports efforts on LinkedIn, Foursquare, YouTube and Google+, as well. American Express is the master of the couponless deal in the social media space. With AmEx Sync, cardholders can enjoy exclusive merchant deals by syncing their cards with their Facebook, Twitter and Foursquare. No coupon is necessary, just the linkage and a qualifying purchase. AmEx first launched Sync with Foursquare in June 2011. In July, it added Facebook in on the fun, launching its “Link, Like, Love” app — after linking an AmEx card, a user can then access deals based on brands that he or she “likes” on Facebook. At SXSW 2012, AmEx stole the show, launching Sync for Twitter and offering up Jay-Z tickets for SXSWers that completed the sync. Partnering with the likes of Whole Foods, McDonald’s and Best Buy, AmEx announced that after linking an AmEx card to their Twitter accounts, cardholders can tweet strategic hashtags to load deals onto their cards. With the hashtag #AmexWholeFoods, for example, a cardholder receives a $20 statement credit when he or she purchases $75 or more at Whole Foods using his or her synced card. Now with a full suite of couponless deals to offer up to consumers, American Express is flexing its social media muscles in all the right ways. AmEx’s social media strategy accommodates the needs of both consumers and merchants. While much of what we see is tailored for the customer experience, AmEx goes out of its way to reach merchants as well. With its national Small Business Saturday initiative, AmEx uses traditional and digital channels to promoting the Shop Small Movement, which encourages consumers to shop at their favorite local businesses on Small Business Saturday, the Saturday in between Black Friday and Cyber Monday. In February of this year, Twitter partnered with AmEx to open up its self-serve advertising platform to AmEx cardholders. AmEx even offered up $100 in free advertising to the first 10,000 businesses to sign up. And we can’t forget the Facebook makeover from last year — AmEx teamed up with Facebook to give five small businesses a Facebook makeover and $20,000 to grow their businesses, as part of its Small Business Saturday program. Social media has a way of changing corporations — shaking them up, making them cautious or loosening their buttons. Every company is different — some embrace it, some battle it. AmEx is doing all it can to run with the opportunities that social media presents, and it’s going big.